Dog leg left par 5. Definite birdie chance for both short and long hitters. 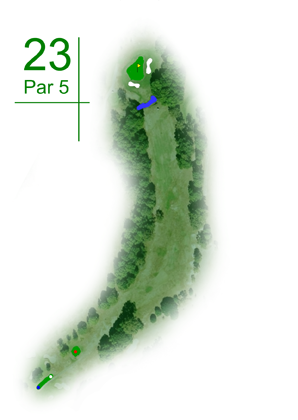 The tee shot is the key as the fairway opens up all the way to the green and the creek in front of the green is close so the lay up option with the second shot is not difficult. The green is big and fairly flat.